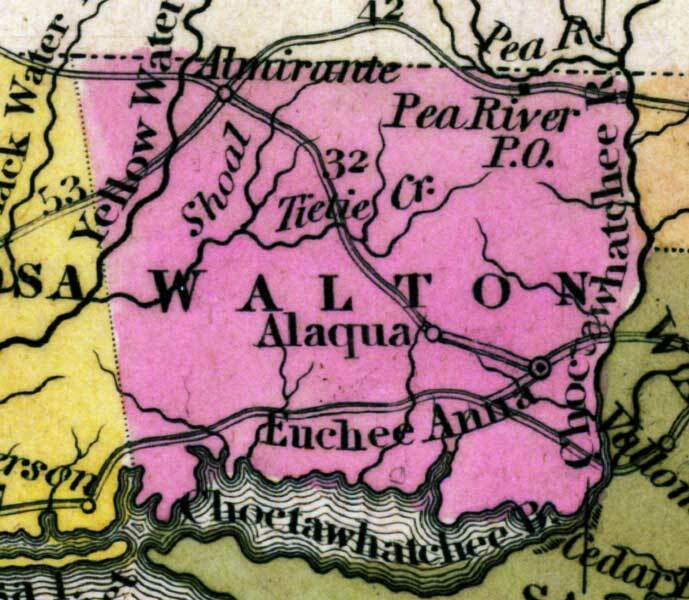 Description: This detail of a map from the Tanner's Universal Atlas shows towns, forts, roads, canals, major rivers and lakes in Walton County. The main waterways through this detail are Escambia, Black Water, and Yellow Water Rivers. The coast features Pensacola Bay, Santa Rosa Island, and Escambia Bay. There are references to forts, battlefields, and routes used by the Army during the Seminole War. The Longitude is from the Washington Prime Meridian.